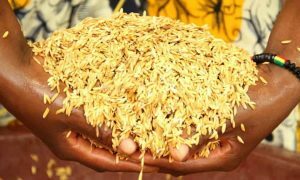 A new report from the West and Central African Council for Agricultural Research and Development (CORAF) describes the results from “the largest System of Rice Intensification (SRI) project ever undertaken in the world,” according to technical lead for regional coordination Dr. Erika Styger. It reveals higher yields for rice farmers in West Africa using SRI. SRI is an adaptable rice farming methodology for reducing the need for inputs, including agrochemicals, while increasing yields. Rice is an important crop in West and Central Africa—most of the 430 million peopleliving in the region depend on it as a staple—but West Africa currently consumes more than it produces and has been importing rice from other parts of the world, such as Asia. 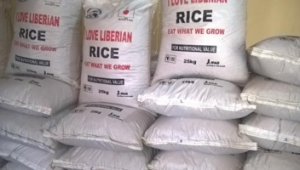 A regional offensive initiated by the Economic Community of West African States (ECOWAS) aims to change this by increasing regional rice production. Organizations and farmers are working toward this goal through initiatives such as the “Improving and Scaling up the System of Rice Intensification in West Africa” project (SRI-WAAPP). This three-year project involved more than 50,000 rice farmers, more than 1,000 sites, and 13 West African countries. It was coordinated by the National Center of Specialization on Rice in Mali along with Cornell University through the West Africa Agricultural Productivity Program (WAAPP)—a program of CORAF. The project is “one of the most successful in the CORAF portfolio,” says CORAF’s Executive Director Dr. Abdou Tenkouano. “This SRI project has been groundbreaking in its participatory design and implementation.” “The involvement of the rice stakeholders in the 13 countries since the design of the project was the key factor of success during its implementation,” Dr. Gaoussou Traoré, the project’s regional coordinator, tells Food Tank when asked about this participatory design. According to the report, use of SRI shows promise for helping rice farmers meet the growing demand in the region. In fact, authors Styger and Traoré write that complete adoption of this method in 2017 would have eliminated the need for rice imports. They also estimate that just in the 2015-2016 growing season, use of SRI produced more than an additional 20,000 tons of milled rice at the project sites, valued at about US$10 million. Though SRI is far from full adoption, the methodology has been spreading around the world and is used in more than 50 countries. Consequently, SRI is used in a wide variety of socioeconomic contexts and can look different between communities and between farms. For example, in some cases where SRI decreases labor requirements, people have raised concerns that its economic benefits will not extend to groups like landless farm laborers. On the other hand, sometimes SRI intensifies labor requirements, particularly while farmers become familiar with it and learn what practices work best for their farms. CORAF’s Regional Gender and Social Development Adviser Dr. Mariame Maiga worries that SRI’s labor intensity could place additional burdens on women who already have significant responsibilities in addition to agricultural work, including cooking, obtaining water, and caring for children. “Women have to work very hard with SRI to produce rice,” she tells Food Tank. Dr. Maiga recommends that steps be taken to prevent SRI adoption from overburdening women and exacerbating gender disparities. In response, the team adopted a labor-saving weeding technology from India to help make SRI more convenient. Asia Rice Foundation USA Travel/Research Award– $3,500 for work on any subject related to rice in the developing world. Deadlines: July 1, 2019. Intergovernmental Panel on Climate Change — Scholarship for PhD Students. The IPCC Scholarship Programme provides scholarships for PhD students from developing countries for research that advances the understanding of the scientific basis of risks of climate change, its potential impacts and options for adaptation and mitigation. Deadline March 22. 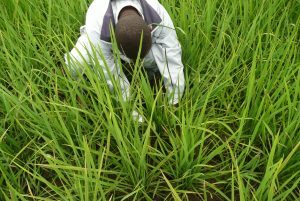 The System of Rice Intensification (Africa), Known as SRI- Africa -is agro-ecological methodology for increasing productivity of irrigated rice by changing the management of plants, soil, water and nutrients. SRI originated in Madagascar in the 1980s and is based on the cropping principles of significantly reducing plant population, improving soil conditions and irrigation methods for root and plant development, improving plant establishment methods.